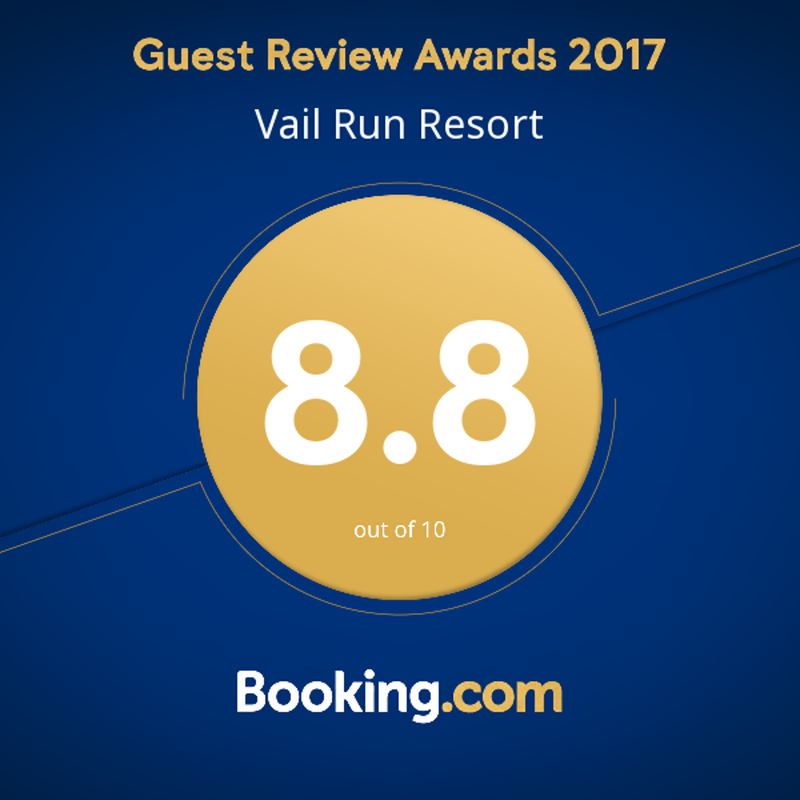 Vail Run Resort is a 54 room timeshare property. The Resort offers for rent studio suites, one/two bedrooms Condominiums, Executive Penthouses and Presidential Suites with fully equipped kitchen, fireplace and a sofa sleeper in the living room (sleeping capacity 2-10). The Resort itself offers a Gym with weights and cardio equipment, a heated swimming pool, a hot tub, sauna, game room, free wireless Internet, lounge with complementary coffee, hot chocolate, tea, computers, and local newspapers.